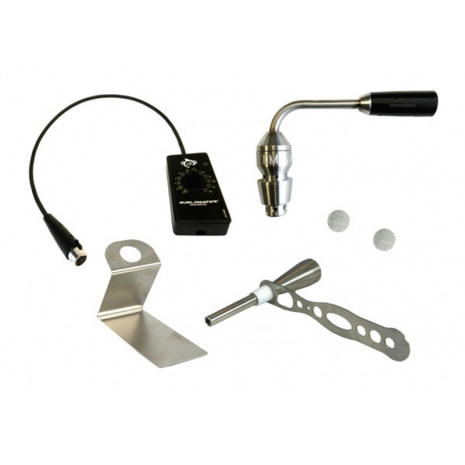 The DabMaster XLR 2.0 is the heart of the Sublimator XLR 2.0 Adapt-A-DabMaster Kit. The DabMaster is more efficient than most vaporizers on the market today. 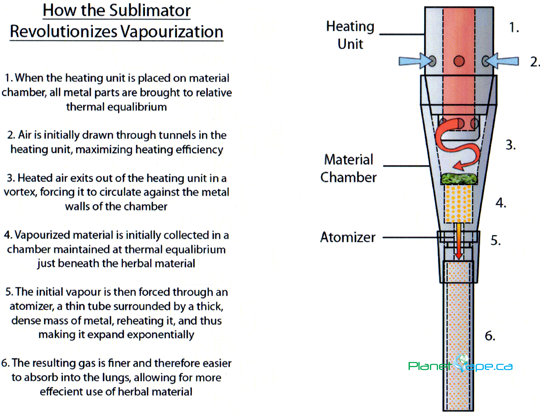 It is the heating source that digs the valley between vaporizing and sublimating. 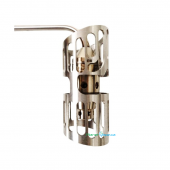 Creating a whirlpool of hot and cool air in the Atomizer and through your herbs, this unit transforms any 14-18mm water tool into a sublimating device. The Dab Ledge on the DabMaster holds your larger Dabs making them easier to apply. The XLR 2.0 DabMaster requires/uses less plant material than most vaporizers on the market today yet the extraction is so complete, it completely purges your herbs of active components, that the true, full potency of your herbs and concentrates are expressed in a way usually felt only through combustion or ingestion. The XLR 2.0 DabMaster is a paradigm shift in itself as it opens new avenues for delivery systems. 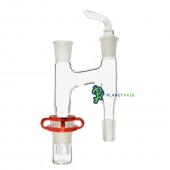 It may also be used to collect the sublimate, this pure air collected extract that can then be re-vaped for a no loss, greatest ''return on investment'' possible. 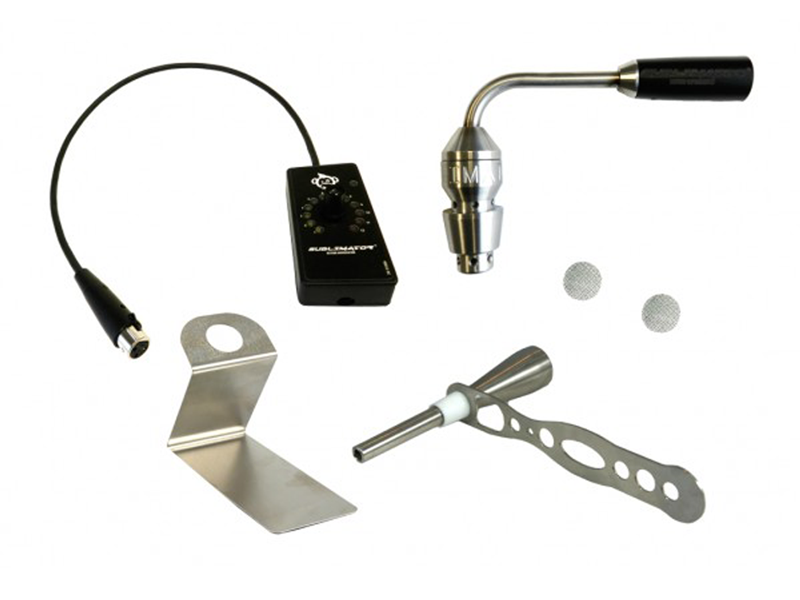 The Sublimator XLR 2.0 Adapt-A-DabMaster Kit contains an XLR connection to allow quick changing of the heating device. 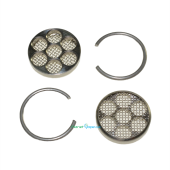 Switch from the DabMaster to the Apollo or E-Nail heads in seconds. The Launch Controller has a variable heat dial to allow you to choose your favorite temperature for the material being vaporized. 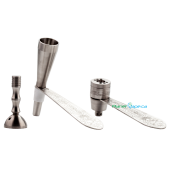 Sublimator XLR 2.0 Adapt-A-DabMaster Kit is available in Stainless Steel or Titanium. A 3 Hour timer is now included on all Monkey Launch Controllers. It allows you to choose either a 1, 2 or 3 Hour auto shut off. Simply depress the power knob once to turn the Monkey Launch Controller on with a 1 Hour shutoff, press power knob again and 2 Hour shutoff light will illuminate, press power knob again and 3 Hour shutoff light will illuminate. A fourth press of the power knob will turn the Monkey Launch Controller off. A chime will alert you 5 minutes before auto shutoff. Due to the size and high value, the Sublimator XLR 2.0 Adapt-A-DabMaster Kit ships for a flat rate of 26.97 using FAST Air Shipping with Tracking and Insurance in Canada and USA. International shipping charges will be additional, you will be contacted after purchase with exact additional fees. Always look for the Authorized Logo to ensure you are buying a Genuine Sublimator XLR 2.0 Adapt-A-DabMaster Kit. Don't take a chance with your health, the advantage of buying from an authorized distributor is you will always get a complete authentic kit with the newest version of the Sublimator XLR 2.0 Adapt-A-DabMaster Kit. You will also be fully covered by any manufactures Warranty and you will receive the best service possible. about 72h to austria, a medtainer and other stuff extra and a very stealth packing. i would give 6 stars if i could. Amazing product to enjoy your medicine in! The expansion in your lungs when taking a hit is a testament to how great the quality of vapour is. The only downside would be the strong smell, but since it produces such large clouds from small quantities its a short exchange.